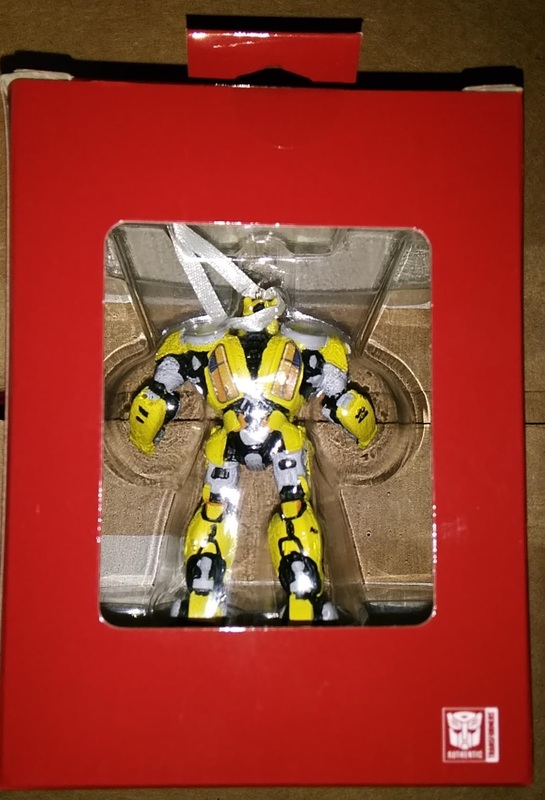 Ready to join the buzz this Christmas, this ornament shows Bumblebee in his robot form from his upcoming movie. As usual, nicely packaged in a small box with the new movie logo and art. You can pick up yours for $7.47. But he isn’t alone on shelves. 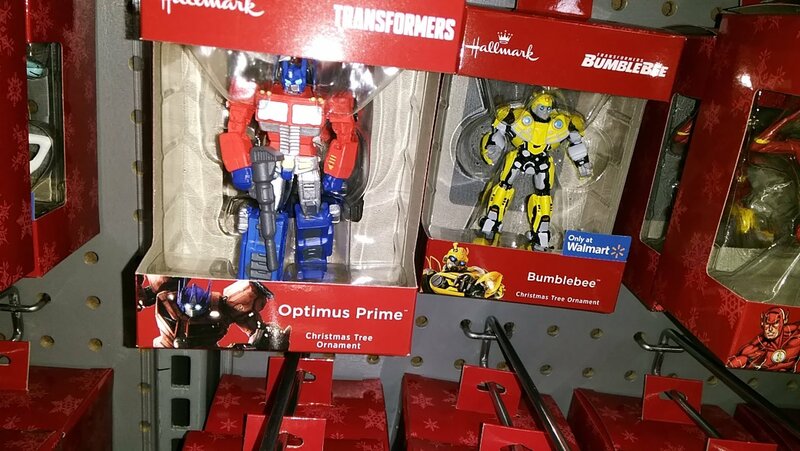 The Optimus Prime ornament from last year was also spotted, with a slightly different box art compared to the one we reported a few weeks ago. You can check out the images after the jump, and then share your impressions on the 2005 Boards! Actually blind people paint a lot better than that. Just close the thread right here. Almost fell off my chair. Oh yeah. They do. Even birds are better than this. Hahahahahahah! Seriously, what were they thinking? Christ alive! Only a mother could love those faces. I’d be more concerned if they burned down my Christmas tree if I even had one. Oh wait I get it. Somebody bought the real one, kept it and then then returned the package with another one painted by their kid brother. I hate when people do that packaging swap trick. And here I am waiting for all these merchandising to get to Latin America….another year of frustration…. Scuplted and painted by your local kindergarten class! Nice find! To the front you go! 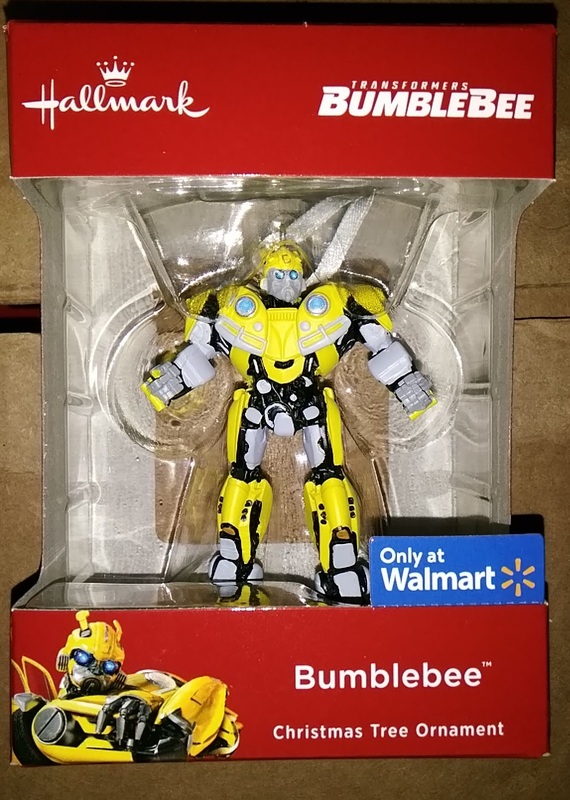 Not sure if this is news or not, but I found a Bumblebee (from the Bumblebee Movie) ornament at Walmart. It's labeled as a Walmart exclusive, replacing the Hot Rod ornament from last year. They also had the Optimus Prime from 2017 in what I think is a different package than last year (different box art). The packaging for Prime is also different from the one found at Meijer this year. So, if you missed Prime from last year, you have yet another chance to get him.